Our Hoop Stripe Rugby is a classic jersey you’ll reach for often. 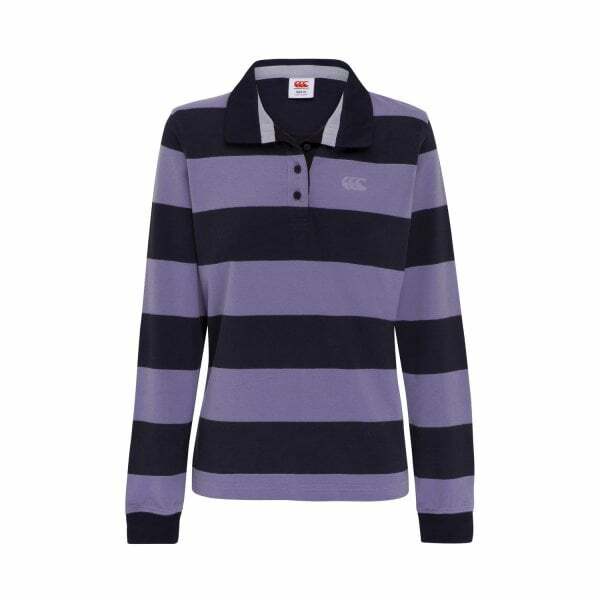 Not only is it warm and comfortable, but you’ll turn heads as well with two bold stripe colours to choose from. Stay warm and comfortable and stand out from the crowd in Canterbury’s 3” Hoop Stripe LS Rugby. This all-time classic yarn dye rugby jersey has long sleeves with ribbed cuffs, cotton drill collar and button placket to keep you warm during the cooler months. The Canterbury logo is embroidered on the chest, so everyone knows you’re a CCC fan and it’s available now.